Read an excerpt of the Almanac! This Almanac is a yearly calendar of weeks and months charting the unfolding of a year. On its pages, you will find the times of the rising and setting sun, observations of natural phenomena, perspectives on flora and fauna, geologic stories, and a forecast of storm events. Stories or articles accompany every week. A Reference Section contains additional writings of fact and natural lore. There is space throughout the parade of weeks for the reader’s own observations. 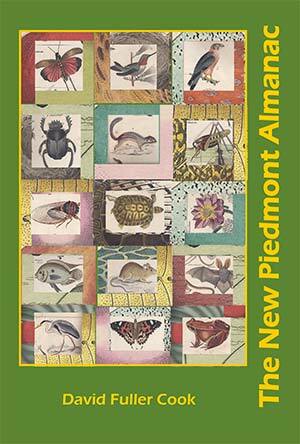 Note: This Almanac specifically originates from the Central Piedmont, that part of the Piedmont that extends from York County, South Carolina north to Cumberland County, Virginia, though it has wider applications throughout the east coast and the mountains.